Efficiency in the forward fifty has been the difference today. GWS only operated at 46 per cent efficiency, while Sydney operated at 63 per cent. Sydney converted 56 inside 50s to 16 goals, while GWS needed 52 to produce their 12 goals. 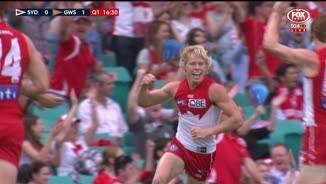 Sydney Swans InterchangeDane Rampe off due to an injury. Swans InterchangeDane Rampe off due to an injury. GWS continue to come home strongly. 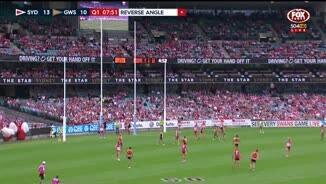 They have kicked 4.3 (27) to Sydney's 1.3 (9) this quarter. But it's probably too little, too late, as they still trail by 21 points. McVeigh has picked up 26 disposals, put the ball inside 50 six times and laid five tackles. Coniglio has laid ten tackles today, to go with his 21 disposals, nine contested possessions, four clearances and a goal. Whitfield having a huge last quarter, with eight disposals already at 78 per cent efficiency, three contested possessions and two inside fifties. Sydney Swans InterchangeDean Towers was substituted into the game for Isaac Heeney. GWS continue to press. They are outpossessing Sydney and using the ball better this quarter. They have 47 disposals to 42, at 71 per cent efficiency to Sydney's 60 per cent. GWS have a sniff after the first goal of the last quarter. They are pressing hard, with six inside fifties to one so far this quarter. 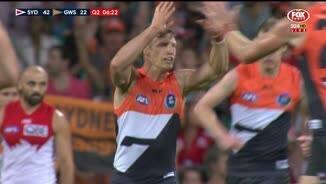 GWS Giants InterchangeRyan Griffen off due to an injury. Giants InterchangeRyan Griffen off due to an injury. Sydney ended up coming out on top that quarter, after GWS started strongly. 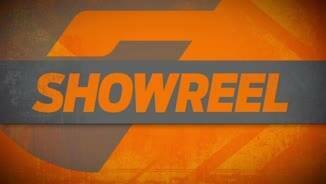 In the first half of the third quarter, GWS outscored Sydney 4.0 (24) to 0.4 (4). 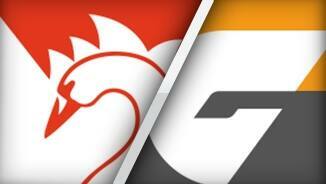 In the second half, Sydney had 10 inside 50s to GWS's 4, and outscored them 4.2 (26) to 0.2 (2). Tippett has struggled to influence the game, with just six disposals and three marks for 0.1 (1). Cameron had a bright start, kicking 1.3 (9) from three marks inside 50 in the first ten minutes of the match, but has had just one disposal since. In the last ten minutes, Sydney have undone all of GWS's good work in the first half of the quarter. 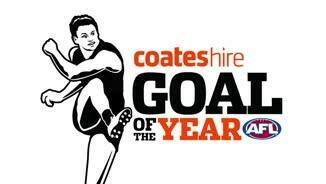 They have scored 4.1 (25) to GWS's 0.1 (1), after dominating inside fifties 6 to 2. 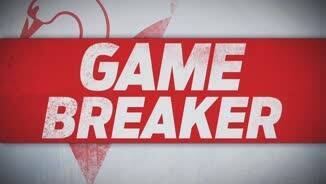 GWS Giants InterchangeNathan Wilson was substituted into the game for Andrew Phillips. Sydney have looked good in the last ten minutes, gaining 503m to GWS's 276m, getting six inside 50s to GWS's two, and scoring 2.1 (13) to GWS's 0.2 (2). Giants InterchangeJeremy Cameron off due to the blood rule. Swans InterchangeIsaac Heeney off due to an injury. Welcome to SCG for the Sydney Swans v GWS Giants Round 3 clash. EXPERIENCE and composure under pressure – plus some poor first half conversion in front of goal from their opponents - has helped the Sydney Swans to a solid 21-point win over Greater Western Sydney at the SCG. The Giants were gallant in defeat, but couldn't keep up with the Swans as they sealed the 16.15 (111) to 12.18 (90) victory. Dan Hannebery – winner of the Brett Kirk Medal after 34 possessions and a goal - Jarrad McVeigh, Rhyce Shaw and Heath Grundy were among the old heads to keep the Swans cool against the plucky Giants. Third-gamer Isaac Heeney kicked four goals – three of them in the first half – in another classy performance, and the 18 year-old product of the Swans' academy continues to impress coach John Longmire. "He was a bloke that wouldn't have been playing AFL football (without the academy), so that’s a fact. It's good to be able to bring him in through the talent pool," Longmire said after his side's third straight to start the season. "He's hard, he competes well, he's composed as well, so not only was he able to hit the scoreboard tonight he was able to set a few up." 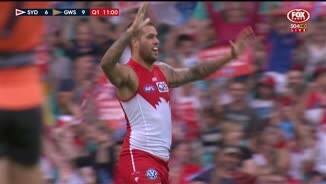 Lance Franklin had Joel Patfull as his shadow for the night and while the former Lion battled manfully against the three-time Coleman medallist, the star Swan finished the match with five goals. 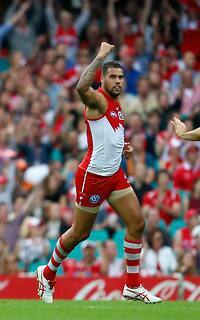 "They're a much improved team and they're going to be hard to beat this year," Longmire said. "They're a team that can kick goals and plenty of them in a row, we saw that last week with nine in a quarter, so to be able to hold them off and answer with some scores of our own was important to do." GWS matched the home side's intensity for most of the match but turned the ball over consistently because of poor decision-making and skill errors by both hand and foot. The Giants started the opening term with promise but couldn't finish off their work on the scoreboard. Star forward Jeremy Cameron was the worst offender with 1.3. At the other end the Swans made the most of their opportunities. Heeney finished beautifully on his left foot for the game's opener, while Franklin and Hannebery both goaled after capitalizing on GWS mistakes. It was more of the same after quarter-time as GWS kicked 2.7 in the second quarter alone. A goal from Rhys Palmer got the Giants to within 14 points, but four on the trot for the Swans gave them the edge once again. 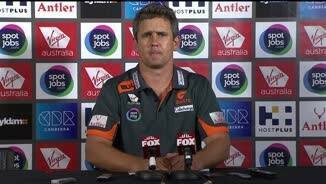 "Obviously bad kicking for goal is bad footy," Giants coach Leon Cameron said after the match. 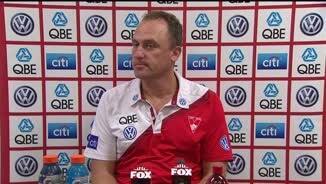 "We've got to make sure our goalkicking is better and finishes off the hard work the lads are doing up the ground." Just as they did against Melbourne last week, the Giants came out a different side after half-time with three quick goals, but they unlike round two they couldn't maintain their dominance thanks to more costly turnovers, especially in the defensive half. The Giants outscored the Swans by nine goals to six after half-time, but they'll rue a terrible first half of goalkicking in the first Sydney derby of the season.